This month's profile spotlights The Arrogant Worms. They began writing for campus radio in Kingston, Ontario, Canada, in 1990. From these humble beginnings, The Worms (as they are affectionately known) have become one of Canada's best known comedy acts, touring the folk circuit throughout North America, and as far away as Australia. The Arrogant Worms consist of Trevor Strong, Chris Patterson, and Mike McCormick, and their songs cover a wide range of subjects, from typical small town Ontario (Canada), to spoofs of "boy" groups. There's even a Celine Dion tribute (extremely tongue-in-cheek!). Their influences range from country ("The Lonely Lab of Broken Hearts") and Celtic ("Gaelic Song" and "Johnny Came Home Headless") to heavy metal ("Log in to You"). In short, there's almost nothing to which the Worms are unwilling to give their own special twist. 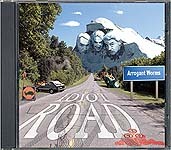 While listening to any one of their seven CDs is a treat, the Arrogant Worms are best experienced live. Why not check out their tour page to find out when they'll be appearing at a venue near you? For a sampling of their music, visit this Web site; also visit their MP3.com site for downloadable music and information on ordering their CDs.